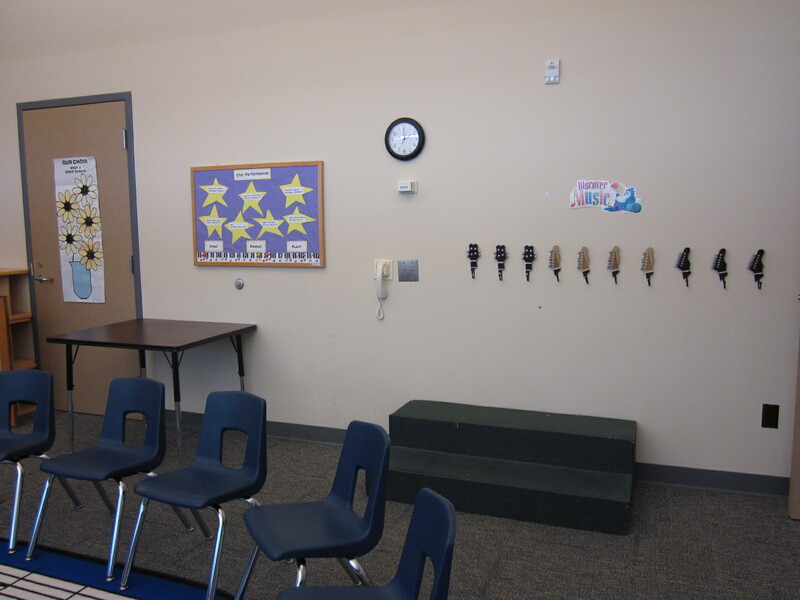 Parents are invited to observe their student’s music time throughout the year. This is the door to the music classroom. Next to my door is a photo of me with my class schedule. 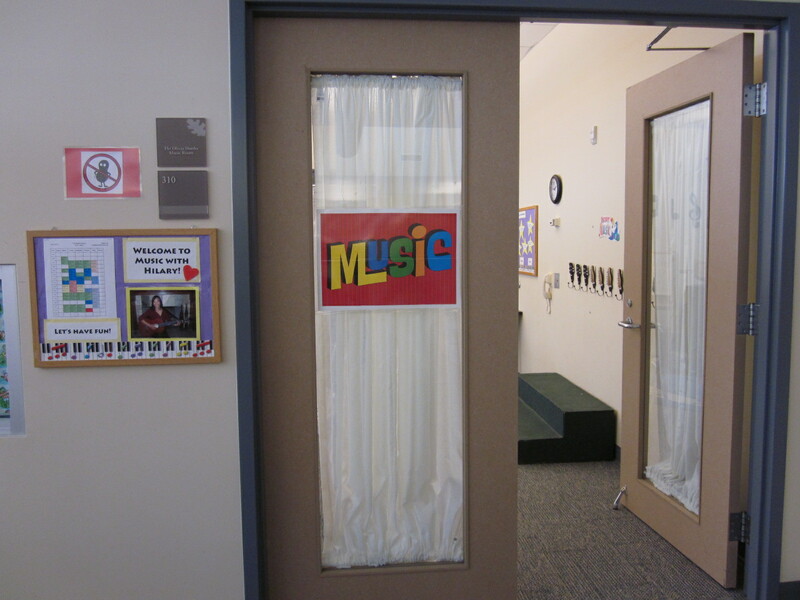 Students like to peek through the curtains before it is their music time. 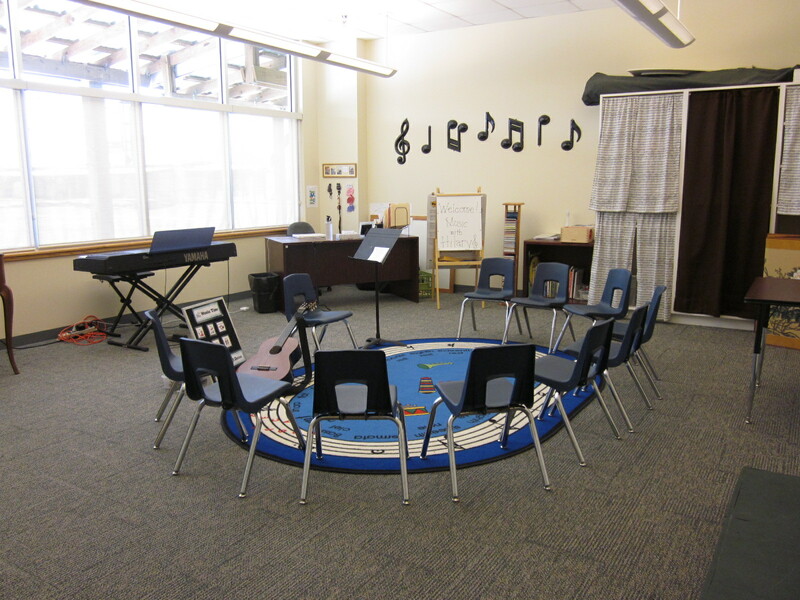 This is our music circle where students sit and have fun with music. Behind the musical curtains is where I store all the instruments. It is always a mystery what fun instruments I may bring out for the students to play. 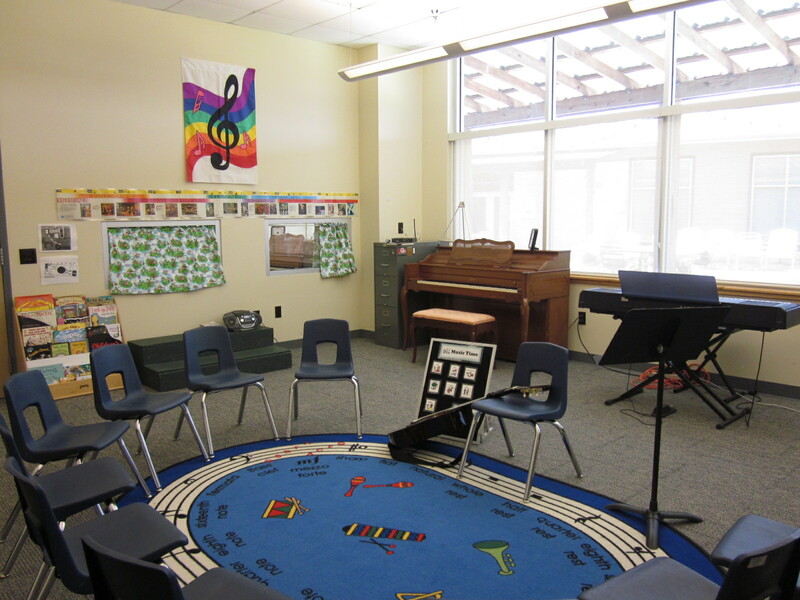 This is the other view of the music circle with the small two-way mirror open for parents to observe their students. Students love looking a themselves in the mirror, especially while they are dancing. This is the fourth wall complete with guitar hooks for hanging jackets/coats and a bulletin board with all our performance dates. The students love walking and climbing on the green steps to dance.